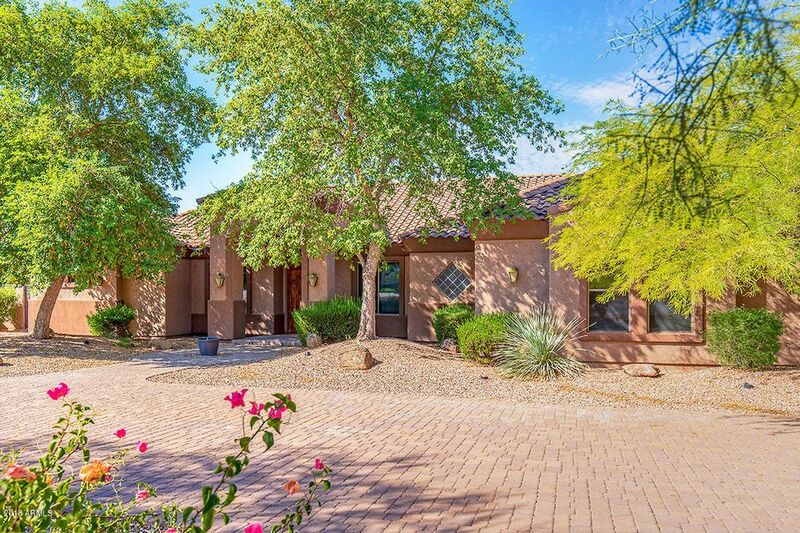 All Sossaman Heights homes currently listed for sale in Mesa as of 04/19/2019 are shown below. You can change the search criteria at any time by pressing the 'Change Search' button below. "AMAZING Opportunity to Own this Custom Single Level Property on an Acre VIEW Lot in a Boutique Niche Gated Community in Desired NE Mesa, 85207!! Surrounded by ALL Custom Homes this Beautiful Home is only 1 of 11 in this unique setting. Massive Brick Pavered Driveways at front circle drive and triple car garage. This 6 ''true'' bed 3.5 bath home offers many options for the new owner. Two bedrooms could dual as ''home'' office, ''theater'' or ''Game Room'' multiple options for this awesome hom"